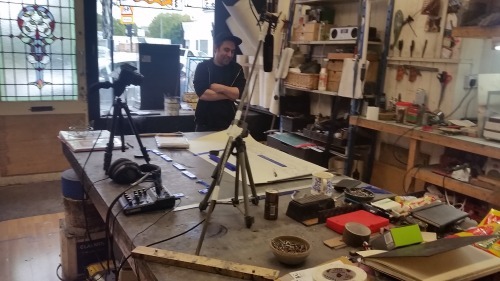 In September 2016 I started a video project with Ruben Caruana owner and craftsman of The Glass Studio, a small workshop designing and restoring leadlight windows by hand. Very sadly we lost Ruben when he unexpectedly passed away in March 2017. He left his business to his apprentice who is still running the studio and, more importantly, continuing the craft. The video begins again, as a documentary of Ash, his craftsmanship, how he is handling his new business, and also as a tribute to Ruben. Below are two test edits from an initial shoot.